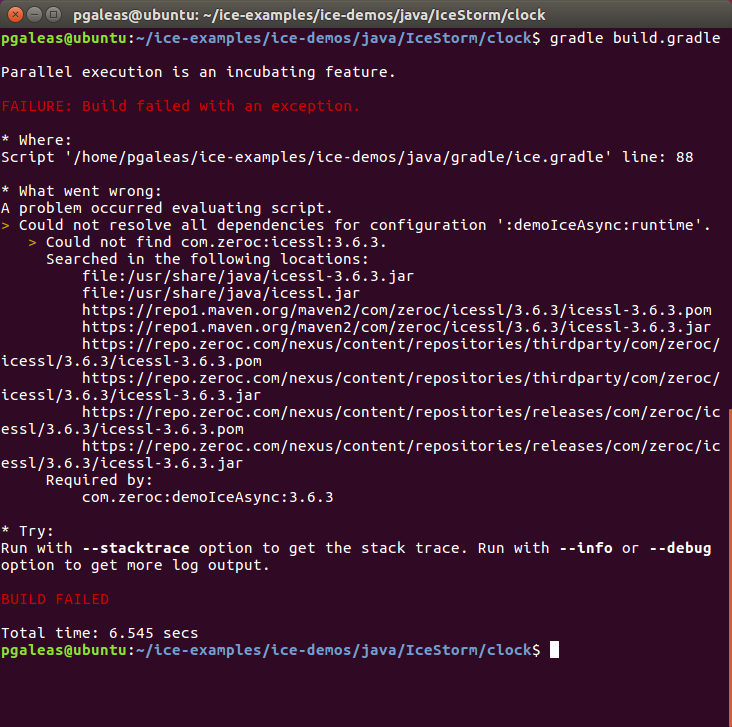 I'm trying to run the java version of the clock demo, but I have some problems to build the project with gradle. I tested the clock example in Mac and Linux and I got exactly the same error. I also didn't find any jar related to ssl in my Ice directories. thank you, I changed the branch and the example works!